Exciting change is afoot for tachograph specialist, Stoneridge, which is going through a re-launch of its brand. This includes introducing a completely new website with an ever wider array of functions and services, including online booking facilities for training courses on its products and a host of support material amongst many other fresh features. With this development taking place, B&CB took the opportunity to discuss the business’s latest developments with Stoneridge UK Sales Manager, Colin MacLean. 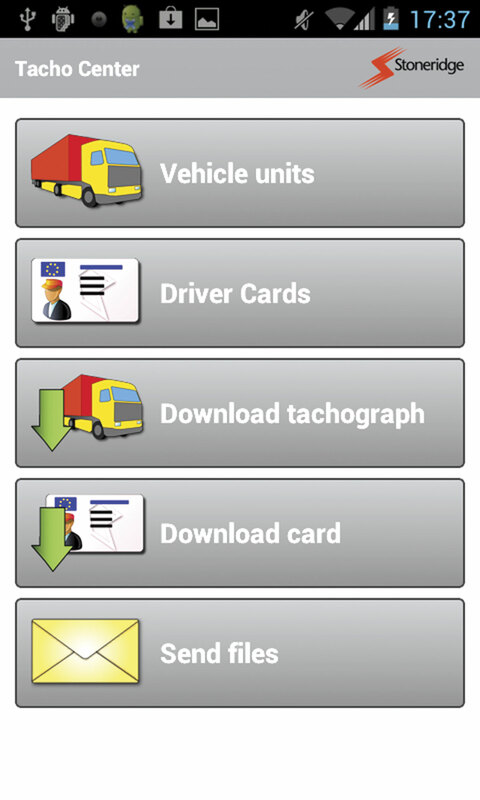 Change is nothing new for Stoneridge, which constantly seeks to keep at the forefront of tachograph technology. 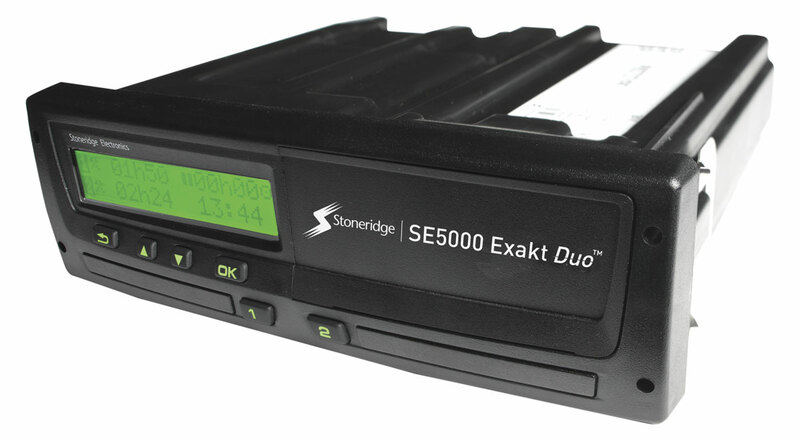 Its latest device, the SE5000 Exakt Duo, makes use of the revised legislation in tachograph time recording known as the One Minute Rule, which came into effect in 2011. Previously, when it was driven for over five seconds in a minute this would be recorded on the tachograph and driver’s card as a full 60 seconds of driving. Under the new regulations, if a vehicle is moving for the shortest portion of a minute (up to 29 seconds) and then stationary for longer during the same minute, the dominant seconds will determine how the minute is recorded. So if a vehicle had stopped for 31 seconds in a single minute, that 60 second period would be recorded as being at rest. Stoneridge’s SE5000 Exakt Duo not only calculates drive time in line with the One Minute Rule legislation, which saves drivers on average 45 minutes a day depending on driving pattern, but also has new features to help drivers organise and manage their time efficiently. According to its suppliers, it was the first tachograph on the market to offer this new functionality and and remains committed to providing customers with products and services that will make their daily lives easier. 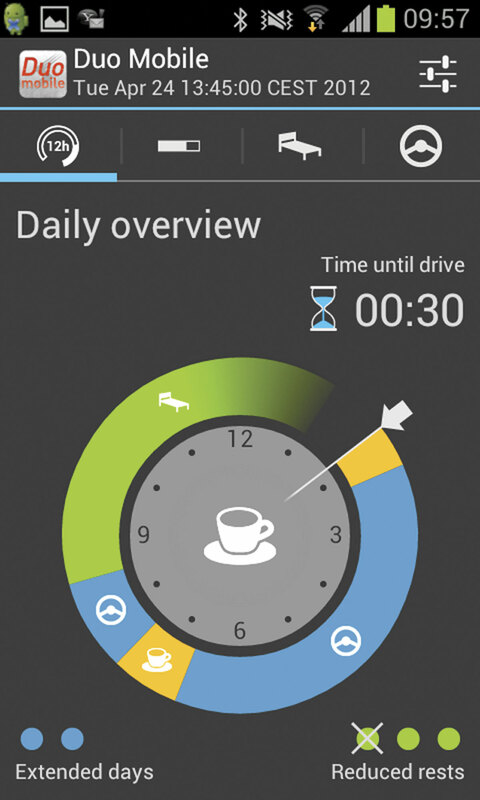 The Duo allows the driver to see drive and rest time countdowns on the tacho screen. It gives them information and warnings when they need to stop for their breaks or when they can get back on the road, keeping them in line with the Drivers’ Hours legislation. With its remote download capabilities it also works together with Stoneridge’s digiDL remote download solution, which saves time by avoiding the need to manually download the data. Stoneridge have not stopped there with helping fleets optimise operations and have developed a suite of tools and smartphone apps to aid fleet managers and drivers in their daily duties. With the Duo Mobile App, drivers can get all the real time information from the Duo on their smartphone, which should make it even easier for them to monitor their driving time. 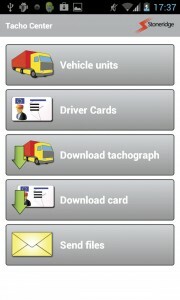 Using the Tacho Center App, tachograph data can be downloaded and managed wirelessly. For managers unsure about the switch to the One Minute Rule tachograph, Stoneridge has a Comparison tool on its SE5000 website to help fleets calculate the specific savings they could make with an SE5000 Exakt Duo. 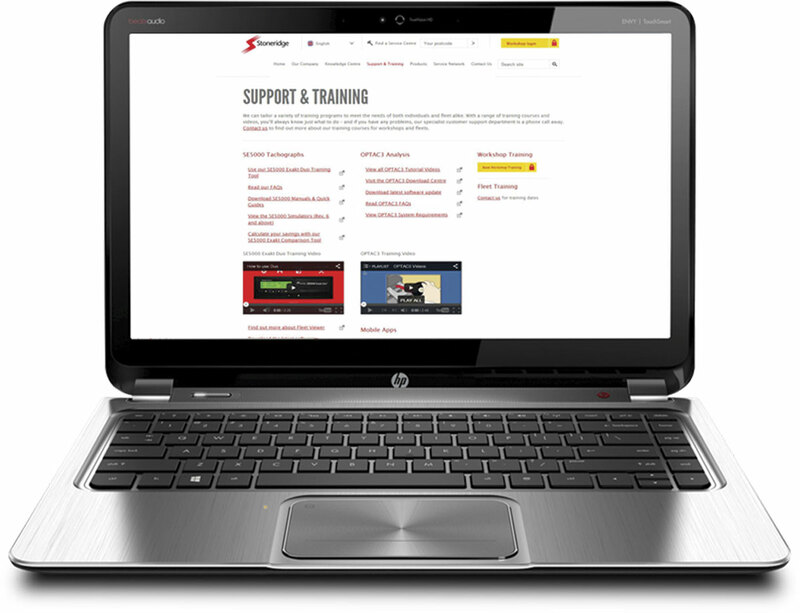 There is also a comprehensive and free training section available on the site, which has instructional videos and tutorials to help fleet managers and drivers reap the benefits of the Duo from day one. To help illustrate to operators what they could be saving, Stoneridge has developed an online comparison tool (http://www.se5000.com/comparison-tool.html). It allows users to upload their own Vehicle Unit (VU) data file to calculate how much driving time could be gained by upgrading to the SE5000 Exakt Duo. Since launching this in 2011, it has helped drivers gain over 1.3m minutes in driving time, according to Colin.